Get $50 off your purchase of the Galaxy S8, Samsung's flagship smartphone with premium features. Enjoy this offer while supplies last. Use the code PARADE in your online purchase. Exp. July 31, 2019. The Samsung Galaxy S8+ is the newest flagship by Samsung and arguably the best smartphone running Android in the market today. It's the most recent launch done by Samsung being barely a month old. To mention the least, the phone took the world by surprise. It is feature packed ultra- high-end phone ranging from the camera, display, sensors, performance, and build. 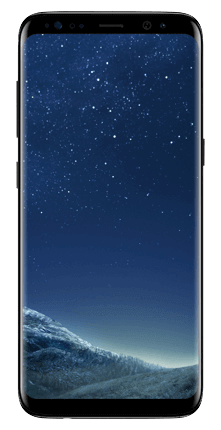 The Samsung Galaxy S8+ was launched together with the Samsung Galaxy S8, the variation being the screen size: the S8+ comes in at 6.2-inches while the S8 comes in at 5.8-inches. Based on my first touch, it felt premium, innovative and had a sense of the future. For a phone it's size, it comes pretty light. The curvy design gives it sturdy, and precision feel. I also got impressed right away by its iris scan capabilities without awkward positioning needed by other devices. This is a must-have phone for anyone who is in love with mobile technology and would want to have the best technology out there, packed in a sleek device as further detailed. Samsung has a way of rewarding the pricing we have to pay for their devices. The packaging of the Samsung Galaxy S8+ is superb. From it alone I could tell it’s a premium device. Samsung is shipping it in a sleek packaging that holds several accessories. They include the actual phone, manufacturer guides (service and quick start), fast charge adapter, Micro USB OTG Adapter, Earphones, ear pieces, and USB-C cable. 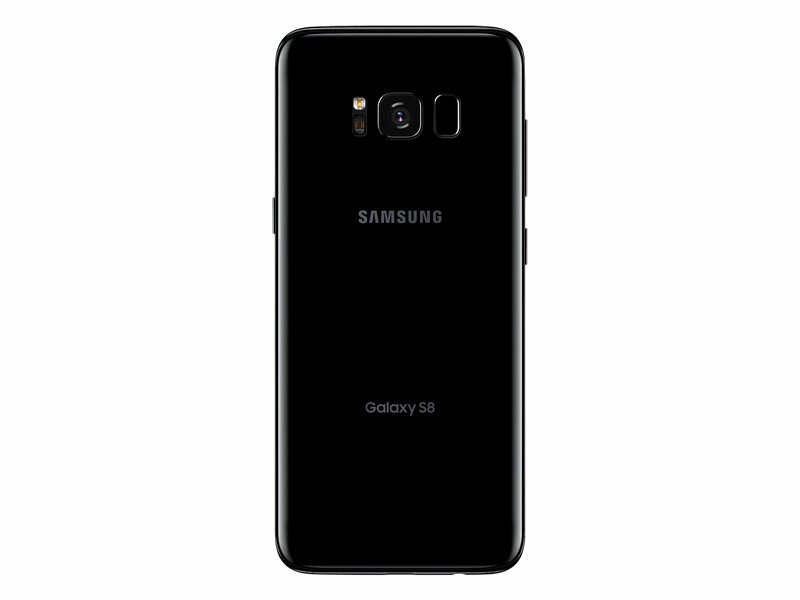 The striking Samsung Galaxy S8+ is available in three colors, namely Midnight Black, Arctic Silver and Orchid Gray. I find black sleek and bold and hence chose the Midnight black. The phone brings out the ingenious design abilities of Samsung. It is an infinity screened display, sensationally curvy and glassy device with a fantastic strike to the eye and touch. Based on its predecessors, without an edge on it, it couldn’t carry the ‘edge’ name along. The Samsung Galaxy S8+ is built with metal and glass. The polished exterior makes it the best design on a phone yet. I love the way light hits it and spreads glitters on. It rocks in the palm assisted by the rear curves. I appreciate the fact that Samsung did not include any ugly whitish or plastic materials on it. When on always-on display, it’s tricky to tell the difference between the screen and its shiny sides. The back is completely sealed off making the battery unremovable. On the rear of the phone are a 12 MP camera, heart rate sensor, and fingerprints scanner towards the right side of the camera. The phone has a 6.2-inches quad-HD Super AMOLED dual-edge display that has superb imagery output, which curves inwards towards the metal build, giving it an infinity gimmick to it. It is also noticeable that Samsung has ditched the traditional home button on the bottom of its prior devices. The Samsung Galaxy S8+ has a virtual pressure sensitive home button. It is also embedded within the screen, which allows Samsung to lay more bezel over it. Such design has a way of making one feel it doesn’t exist but you can still feel and push it. I found this to be a funky feature that competes at the level of iPhone tectonic touch button. The rest of the front face is fitted with a proximity sensor, iris detection LED, front camera, Iris scanner, and an earpiece. On the bottom of the phone, there is a 3.5mm earpiece jack, USB-C (charge/accessory) port, mouthpiece microphone, and a speaker while on the top you get a SIM/Micro-SD tray and a mic hole. To the right, there is only the power button while the left having one more feature of a new virtual assistant called Bixby button, a new introduction by Samsung and finally volume rockers. The Samsung Galaxy S8+ is one beautiful piece of architecture to behold. For all lens related works, the Samsung Galaxy S8+ is fitted with a 12MP and 8MP cameras on the rear and front respectively. Here is what this means for you. This is yet one of the best lens combos around. I loved the ability to capture images while I can still tweak lighting, color, and sharpness. What’s more gorgeous about the pictures is the display you get to view them through. Regardless of scenes and ambiance, I found the Samsung Galaxy S8+ camera performance excellent. Under low light settings, the LED flash comes in handy. As a feature available in the Samsung Galaxy S8+ predecessors, autofocus is still brilliant. Dual lens sensors are the new gimmick in town which Samsung skipped but still equated the Samsung Galaxy S8+ to such standards by introducing 360° images and videos compatible with its VR tech. A striking and yet exciting feature again with the camera is its interface simplicity. With miniature swipes, with one-hand operation, you can activate options available such as filters. I found full zoom option nice with the front camera, hence taking selfies and video calls has been further simplified. A brilliant front camera also means great moments with going live with apps such as Instagram and Facebook. Samsung did not just outdo itself with the general design of the Samsung Galaxy S8+ but also the display. It had a way of reminding me that Samsung has the best screen technology in the market, even with their other products different from this one. The display is powered by a 2960*1440 quad-HD Dual Edge Super AMOLED display of 6.2 inches, with rounded corners. For the PPI patrols, this means you get to enjoy 529 PPI (Pixels Per Inch). I also noticed that the display could run either full HD or Quad-HD modes based on user preference. The phone has an unusual aspect ratio of 19:5:9 attributable to the screen size. With the increased size, comparing it to the Samsung Galaxy S7, you get more room to watch, write or read stuff. With its narrow size, it gets very easy reaching every corner of the phone’s display with minimum or no effort regardless of your palm size. I am a huge YouTube content consumer, and the Samsung Galaxy S8+ has been a partner in that. Its playback ability is detailed enough for addiction. Fitted with a 3500mAh battery, the Samsung Galaxy S8+ offers you up to 30 hours of talk time on a 2G CDMA network, up to 17 hours of video play, up to 88 hours of music play time and an average of 13 hours of internet use. The juices in this gadget are unbelievable bearing in mind what is under the hood. Real-life use, under sedate conditions, will give you an all-day usage on a single charge. By the time you are wrapping up the day, you will have 10 to 15% power to spare. Samsung has added this device to its spectrum of fast and wireless charging making sure you have plenty of options to keep juiced up. After experimenting with all charging methods, I achieved full battery charge about seventy minutes later with most of the methods I tried out such as the charging dock. This is another way of falling in love with the phone. The Samsung Galaxy S8+ has a rather standard memory range, typical to other high-end Samsung’s gadgets. It has an internal memory of 64GB, expandable to 265GB with a micro-SD slot and 4GB RAM. However, Samsung has it that they will later release a 6GB RAM and 128GB internal memory version for the Asian market only. With all this storage, keeping memories of nights out, vacations or favorite TV shows is rather comfortable. To those who don’t find 64GB adequate, however, the memory has significant expansion capabilities. I got to give it to Samsung; all this storage almost adds up to my Mac’s storage. The Samsung Galaxy S8+ is not only a gorgeously designed eye feast but also a serious powerhouse based on what is fitted in that glassy glamor. A combination of all Samsung has put together in its assembly gives nothing short of such. This power is shared by location, however. Those in Europe and Asia will have an Exynos 8895 chipset while a Qualcomm Snapdragon 835 for those in the USA. My version is the 835. Therefore, my experience is based on it. Regardless of what processor you end up with, the performance difference is undetectable. The UI is outstanding, a quality I expected with the latest Android as well as Samsung’s bulging appetite in pushing things to the limit. The OS is seamlessly fluid while on virtually anything! Nothing seems to get the Samsung Galaxy S8+ break a sweat. The color is more enhanced, playback more intuitive with the infinity display, reaction time superb, and brilliant power management abilities. With mini HDMI capabilities, extending all this power to a bigger monitor is possible. With the new DeX docking station, it’s now practical having only one device around you regardless of where you are, either home or office. For virtual assistance, Samsung introduced Bixby, a feature joining the ranks of apple’s Siri, Amazon’s Alexa, and Google Assistant. I saw this as a matured version of S-voice, a relatively young tool that shipped with the S3 and S4. Bixby serves as an AI, with eyes and ears for you. Daily reminders, searches, language translations and visual searches are some of the things you will not do alone any longer after getting Bixby. One of my most exciting experience with Bixby is his ability to recognize text. The improved TouchWiz UI is a new Samsung experience. It is impressively orderly and equally as influential. Powered by the latest Android in the market, the Nougat, the first impression I got from the app drawer and notification abilities was premium. The device is well maintained with a performance related scan that keeps sleeping features that are long unused. Battery drain is maintained at optimum and only pushed by needed operations. The give about this is that you may get delayed notifications as I noted but the get is absolutely worth it. The phone is assisted by the following sensors to respond to the environment. Has an accelerometer that keeps track of your phone movements and comes in handy when playing games and using other related apps; fingerprint sensor, for biometric related security; gyro sensor; geomagnetic sensor; Hall sensor; HR sensor; Iris sensor for biometrics too; pressure sensor for the virtual menu button; proximity sensor; RGB light sensor. It features NFC, Bluetooth 5.0, Wi-Fi 802.11 a/b/g/n/ac, GPS, GLONASS wireless technologies. A cool feature with Bluetooth 5.0 is the ability to pair multiple devices to the phone at once. That was impressive for me. NFC comes in handy for fast payment method authentication in stores. The phone is also IP68 rated making it dust and water proof. It is also compatible with 360 gear and virtual reality headsets. This is why by calling it a feature pack we are not pranking anyone. The phone is compatible with 4G LTE, CDMA, so be sure to check out local tower availability in respect to your network of choice. By being a 4G LTE device, Verizon, as well as straight talk plans, will have it supported. UHD 4K (3840 x 2160) @60fps video playback. 360 Degrees gear and VR compatibility. $75 monthly with auto-pay; Unlimited Nationwide Calling and Texting, Unlimited 4G LTE Data. Unlimited 3G Mobile Hotspot. Add $10 for Beyond Unlimited Plan which includes Calling to Mexico and Canada, and includes Premium Unlimited 4G LTE Data, Unlimited Mobile Hotspot (15GB at 4G LTE speed, balance on 3G). $65 monthly per line based on 2 lines for $130; Unlimited Nationwide Calling and Texting, Unlimited 4G LTE Data. Unlimited 3G Mobile Hotspot. Add $30 for Beyond Unlimited Plan which includes Calling to Mexico and Canada, and includes Premium Unlimited 4G LTE Data, Unlimited Mobile Hotspot (15GB each line at 4G LTE speed, balance on 3G). $50 monthly per line based on 3 lines for $150; Unlimited Nationwide Calling and Texting, Unlimited 4G LTE Data. Unlimited 3G Mobile Hotspot. Add $30 for Beyond Unlimited Plan which includes Calling to Mexico and Canada, and includes Premium Unlimited 4G LTE Data, Unlimited Mobile Hotspot (15GB each line at 4G LTE speed, balance on 3G). $40 monthly per line based on 4 lines for $160; Unlimited Nationwide Calling and Texting, Unlimited 4G LTE Data. Unlimited 3G Mobile Hotspot. Add $40 for Beyond Unlimited Plan which includes Calling to Mexico and Canada, and includes Premium Unlimited 4G LTE Data, Unlimited Mobile Hotspot (15GB each line at 4G LTE speed, balance on 3G). $40 monthly per line based on 5 lines for $200; Unlimited Nationwide Calling and Texting, Unlimited 4G LTE Data. Unlimited 3G Mobile Hotspot. Add $50 for Beyond Unlimited Plan which includes Calling to Mexico and Canada, and includes Premium Unlimited 4G LTE Data, Unlimited Mobile Hotspot (15GB each line at 4G LTE speed, balance on 3G). $40 monthly per line based on 6 lines for $240; Unlimited Nationwide Calling and Texting, Unlimited 4G LTE Data. Unlimited 3G Mobile Hotspot. Add $60 for Beyond Unlimited Plan which includes Calling to Mexico and Canada, and includes Premium Unlimited 4G LTE Data, Unlimited Mobile Hotspot (15GB each line at 4G LTE speed, balance on 3G). $40 monthly per line based on 7 lines for $280; Unlimited Nationwide Calling and Texting, Unlimited 4G LTE Data. Unlimited 3G Mobile Hotspot. Add $70 for Beyond Unlimited Plan which includes Calling to Mexico and Canada, and includes Premium Unlimited 4G LTE Data, Unlimited Mobile Hotspot (15GB each line at 4G LTE speed, balance on 3G). $40 monthly per line based on 8 lines for $320; Unlimited Nationwide Calling and Texting, Unlimited 4G LTE Data. Unlimited 3G Mobile Hotspot. Add $80 for Beyond Unlimited Plan which includes Calling to Mexico and Canada, and includes Premium Unlimited 4G LTE Data, Unlimited Mobile Hotspot (15GB each line at 4G LTE speed, balance on 3G). $40 monthly per line based on 9 lines for $360; Unlimited Nationwide Calling and Texting, Unlimited 4G LTE Data. Unlimited 3G Mobile Hotspot. Add $90 for Beyond Unlimited Plan which includes Calling to Mexico and Canada, and includes Premium Unlimited 4G LTE Data, Unlimited Mobile Hotspot (15GB each line at 4G LTE speed, balance on 3G). $40 monthly per line based on 10 lines for $400; Unlimited Nationwide Calling and Texting, Unlimited 4G LTE Data. Unlimited 3G Mobile Hotspot. Add $100 for Beyond Unlimited Plan which includes Calling to Mexico and Canada, and includes Premium Unlimited 4G LTE Data, Unlimited Mobile Hotspot (15GB each line at 4G LTE speed, balance on 3G). With an amazingly thin profile, the Barely There Case is a real show-off. Offering your gadget impact resistance and anti-scratch protection. Available in Clear and Black. Let the dynamic snow globe effect of this Samsung Galaxy S8 Plus Waterfall rose gold case captivate you with its cascading sparkle and tumbling glitter. Offering enhanced dual-layer protection with refined metallic button accents, this case has all the right moves. Available in Rose Gold, Iridescent Diamond. Galaxy S8+ glass screen protector resists scratches and shattering while maintaining pristine image quality.